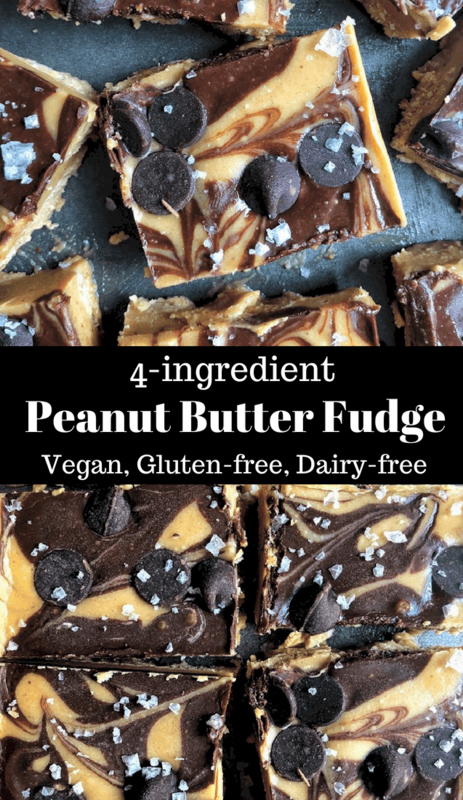 This Healthy Peanut Butter Fudge is made from only four ingredients, satisfies the craving for a sweet treat, and is naturally sweetened. This easy and low carb dessert will be your favorite to keep in the freezer! What if I told you that you could please an entire room instantly by just taking 3 minutes in the kitchen?? Guys, I literally have had a hankering for every single cold dessert I can get my hands on. If you didn’t already know, I’m seriously obsessed with freezer fudge. I make it once a week to have on hand for dessert. No joke, ask anyone I have lived with – I AM OBSESSED. 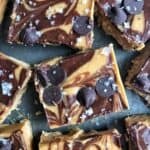 I look forward to my nightly routine of grabbing a piece of freezer fudge, grabbing a cookie/slice of bread/or something else that I’ve baked that week, and a few pretzels. I’m a creature of habit, but I love my night time dessert spread. 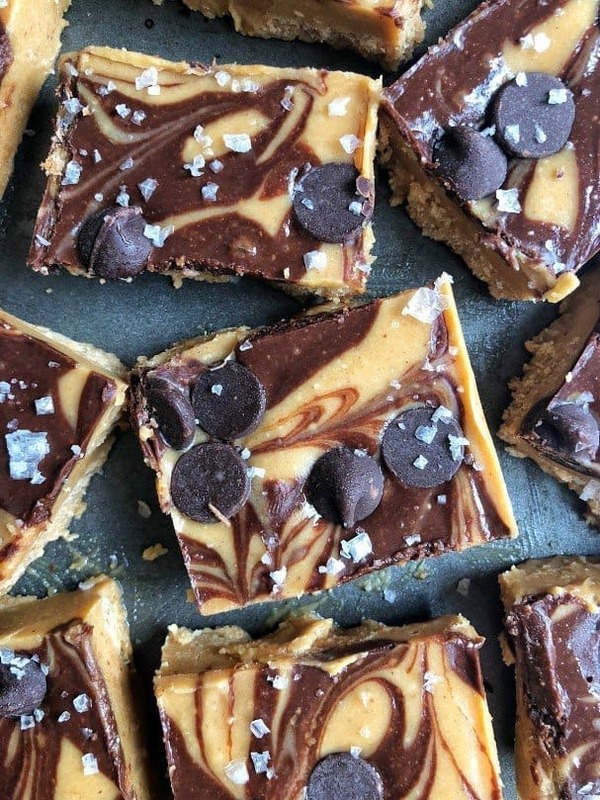 Well these past few weeks, I’ve been all about the peanut butter freezer fudge, otherwise known as healthy peanut butter fudge. 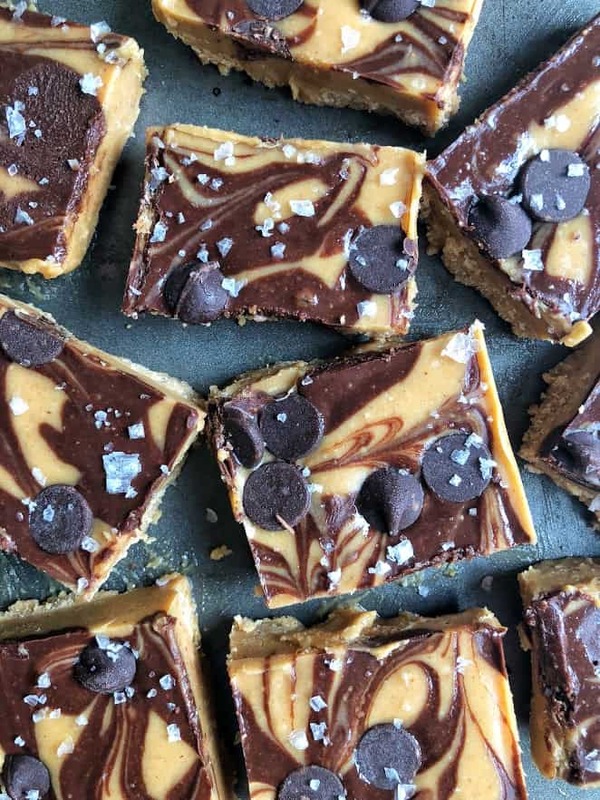 Its dangerously good, literally melts in your hands (and mouth), and is even better when sprinkled with flake sea salt. How gooooood does that look? The best part is that it literally takes no time at all. Seriously like I said 3 minutes in the kitchen, followed by 15 minutes in the freezer and you’re ready to party. It’s completely gluten-free, refined sugar free, vegan, and dairy free. In a bowl, mix peanut butter, coconut oil, maple syrup, and vanilla. 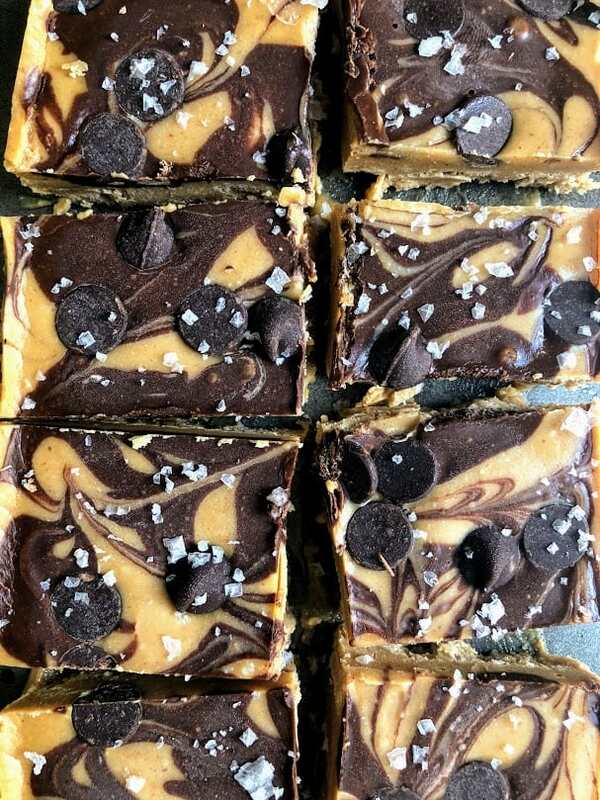 Swirl around with a toothpick and add chocolate chips and sea salt on top. Literally the best thing I have ever tasted! So easy to make and they melt right in your mouth. Thanks Erin!!! Thank you Julia!!! 🙂 Enjoy it!